It is with broken hearts we announce the sudden passing of our beloved wife, mother, nan, and sister, Beverley Grewinski on February 6, 2019 at the age of 68. She is predeceased by her parents John and Frances Marek, her brother Ken, and sister Marilyn. She will be lovingly remembered by her husband Elmer, her daughter Maxine (Kurtis), her grandchildren Addisyn and Weston, and her brother Richard (Enid). Bev grew up and remained and worked in the Lac du Bonnet area. She enjoyed the simple things in life. Her greatest pleasure was spending time with her grandchildren. She will be dearly missed by her family. As per her request, cremation has taken place, and a celebration of her life will take place at a later date. In lieu of flowers, donations may be made to the lac du Bonnet Personal Care Home, PO Box 1030, 75 McIntosh St., Lac du Bonnet, MB R0E 1A0. Sorry for your loss . I worked at care home with Bev and she was such a good coworker . So sorry for your loss. She will be dearly missed. I will have many happy memories of us all laughing at Gramma’s kitchen table and many holiday celebrations. Her kindness was shared with everyone who knew her. My deepest condolences to Bev’s family. Bev was a coworker of mine at the Care Home for many years, always there with a great come back for everything you said. Will miss her smiling face! My deepest sympathy to Bev’s family. We knew each other all of our lives in our little neighborhood. She was very privately gentle and kind. We got to talking more often lately, since she retired. She liked to laugh. I’ll miss seeing her. My sympathy to the family for the loss of their mom. 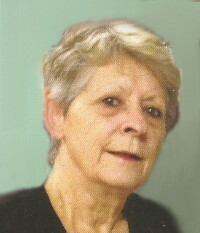 I worked with Bev for years at the Personal Care Home and she was a very hard worker and a loyal person. She will be missed.